Nissan is one of the most popular Japanese automakers in the U.S. and as a trusted and reliable brand, Nissan models are great used vehicles. In the last decade, Nissan’s lineup has grown and they currently have a great selection of sedans, fuel efficient vehicles, CUVs, SUVs and trucks. View all of Driver’s Auto Mart’s used Nissan inventory online. The Nissan Versa is Nissan’s most affordable car. The Versa Sedan has a sedan body and the Versa Note is hatchback. The Versa Sedan and Versa Note are both equipped with a 109-horsepower 1.6-liter 4-cylinder engine. Both Versa models have a fuel economy of 31/39 city/highway mpg, so they are very fuel efficient 5-passenger vehicles. Both Versa models are equipped with Bluetooth, an AM/FM radio, CD player and AUX ports, but there are a range of entertainment and convenience features available on different trims. The Sentra is another affordable sedan produced by Nissan.The Sentra comes standard with a 124-horsepower 1.6-liter 4-cylinder engine, but it is also available with a slightly more powerful 188-horsepower 1.8-liter 4-cylinder. The average fuel economy for the base engine is 29 mpg in the city and 37 mpg on the highway. The Sentra comes standard with modern amenities including Bluetooth, a USB connection port, illuminated steering wheel mounted controls, and smart auto headlights. The Nissan Altima is a popular midsize sedan that is known for its sporty style and reasonable price. The Nissan Altima is available with the standard 179-horsepower 2.5-liter 4-cylinder engine, or a more powerful 270-horsepower 3.5-liter V6 engine. The base engine has an impressive EPA-estimated fuel economy of 27 mpg in the city and 39 mpg on the highway. Some highlights of the model include an audio system with a 5-inch touchscreen, Siri Eyes Free, and Bluetooth phone connection plus streaming capability. The largest sedan offered by Nissan is the Nissan Maxima. The Maxima is equipped with a 3.5-liter V6 engine that produces up to 300 horsepower. Despite the larger and more powerful engine, the Maxima has a fuel economy of 21 mpg in the city and 30 mpg on the highway. NissanConnect with navigation and Apple CarPlay, a remote engine start system, drive mode selector and a RearView Monitor system all come standard even with the base trim. 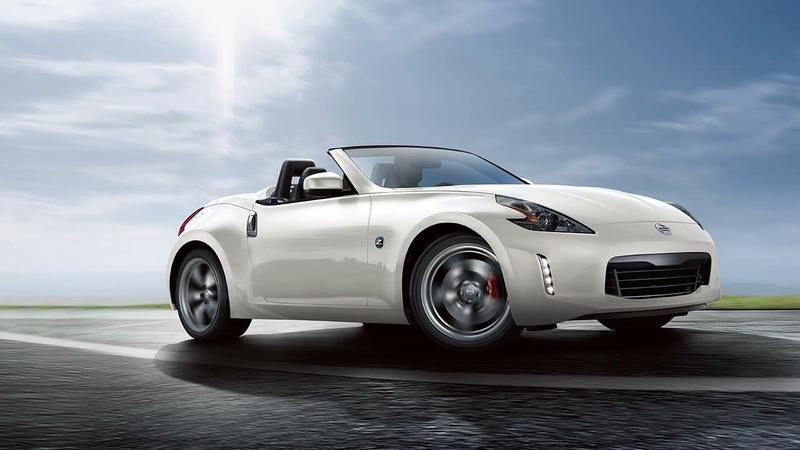 The Nissan 370Z is the most affordable performance car made by Nissan and it is available as a coupe or a Roadster, which has a convertible top. The 332 horsepower vehicle features a 3.7-liter V6 engine. The vehicle averages 18 mpg in the city and 26 mpg on the highway. The 370Z comes wirh some awesome features like a six-speed manual transmission, 18-inch black-finish aluminum-alloy wheels, and HID headlights. The 370Z goes 0 – 60 mph in just 5.2 seconds. Shoppers on the market for a used performance coupe should check out the Nissan GT-R. Under the hood of the Nissan GT-R is a 565-horsepower 3.8-liter V6 engine and the GT-R Nismo is equipped with a turbo version of the same engine, which boosts the engine’s horsepower to 600 horses. Wow! This car comes with plenty of cool features which include a titanium exhaust with exhaust sound control, a Bose audio system and active noise cancellation. This model has the capability of reaching 60 mph in a whopping 2.9 seconds. The Nissan Juke is a small, but capable compact 5-door hatchback crossover. 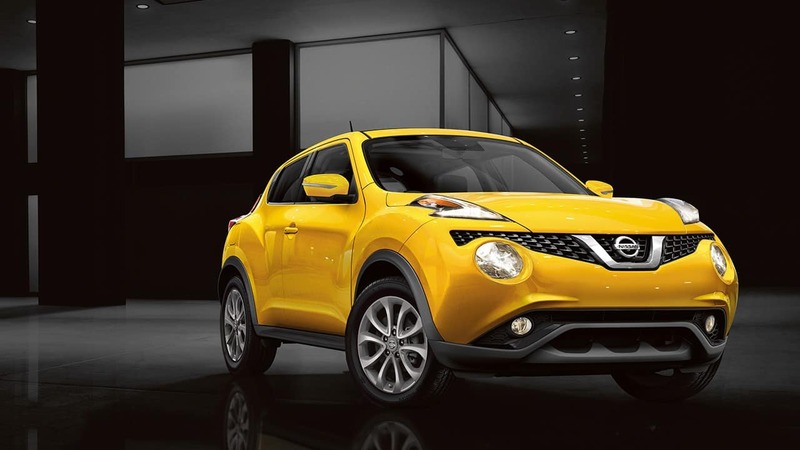 The Juke is equipped with a 1.6-liter turbocharged 4-cylinder engine that produces up to 188 horsepower and 177 lb-ft of torque. Some of the Juke’s key features include 17-inch aluminum alloy wheels, a premium CD player, a 5-inch display, a six speaker audio system, and Bluetooth. As a small and efficient vehicle, the Juke has an EPA-estimated fuel economy of 32 mpg on the highway and 28 mpg in the city. Introduced in 2017, the Nissan Rogue Sport is the younger and slightly smaller sibling to the Nissan Rogue. The Rogue Sport is a five passenger CUV that offers 66.1 cubic feet of cargo space, Bluetooth, Siri Eyes Free and an advanced driver-assist display. The Rogue Sport has a 141-horsepower 2.0-liter 4-cylinder engine that gets 25 mpg to the city and 32 mpg on the highway. The Nissan Rogue is a five-seat compact crossover and it is currently Nissan’s best selling vehicle in the U.S. Named by AutoPacific as Best in Class for vehicle satisfaction for two years in a row, the Rogue offers up to 70 cubic feet of cargo space and it comes with a 2.5-liter 4-cylinder engine. The Rogue produces 170 horsepower and averages 26 mpg in the city and 33 mpg on the highway. Some highlights includes a standard backup camera, keyless entry, satellite radio, Bluetooth connection and brake assist. The Nissan Murano is a five-door mid-size crossover SUV that has been produced since 2003. The 2017 Murano is an I.I.H.S. Top Safety Pick Plus, so it is a great pick for consumers that put safety first. The Murano is equipped with a 3.5-liter V6 engine that produces 260 horsepower, and 240 lb-ft of torque. This five passenger vehicle has folding seats and when properly configured there is 67 cubic feet of cargo space. The Murano has a high-quality interior materials, vehicle-speed sensitive power steering, 20-inch aluminum alloy wheels and silver roof rails. Additionally, the Murano has an EPA-estimated fuel economy of 21 mpg in the city and 28 mpg on the highway. As Nissan’s oldest model, the Pathfinder is one of Nissan’s most popular vehicles and it is a perfect sized SUV. The Pathfinder is a three-row and seven-passenger SUV with plenty of room for passengers and cargo. The engine is a 3.5-liter V6 engine and it produces 284 horsepower and 259 lb-ft of torque. This model can also tow up to 6,000 pounds and gets 20 mpg in the city and 27 mpg on the highway. Highlights include an independent front and rear suspension, 18-inch alloy wheels, LED daytime running lights, roof rails, an 8-inch radio display and Bluetooth and satellite radio capability come standard. The largest SUV that Nissan makes is the Nissan Armada and it this year it was named SUV of the year by Popular Mechanics. The Armada offers seating for eight passengers and there is plenty of room behind the third row seats for cargo. Equipped with a 5.6-liter V8 engine, the Armada is a 390-horsepower vehicle and it has a maximum towing capacity of 8,500 pounds. The Nissan Armada comes standard with roof rack rails, a push button ignition and modern tech and entertainment features. The Nissan Frontier is one of the few small pickup truck options on the market today and it is the most affordable truck in the U.S. The Frontier is a five-passenger pickup truck and it is available as a two- or four-door body truck. The Frontier comes standard with a 2.5-liter 4-cylinder engine and a manual transmission and it is also available with an automatic transmission as well. The 2.5L engine gives the Frontier a maximum towing capacity of 3,760 pounds, and the Frontier is also available with a larger 4.0-liter engine that boosts its maximum towing capacity to 6,710 pounds. The Nissan Titan is a step up from the Nissan Frontier and it was named Truck Trend’s 2017 Pickup Truck of the Year. The Titan is available with three cab sizes, a single cab, king cab and crew cab. 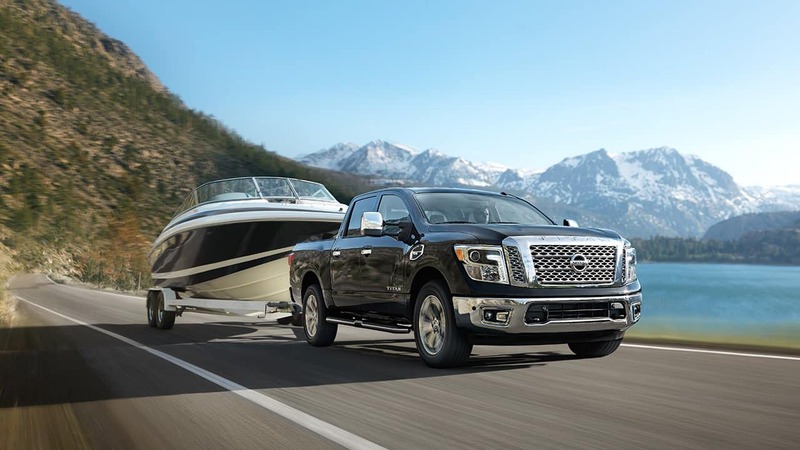 Each of the Titan models are equipped with a 390-horsepower 5.6-liter V8 engine that gives the Titan a maximum towing capacity of 9,740 pounds. A step up from the Nissan Titan is the heavy-duty Titan HD. The Titan HD is available with a gas engine as well as a 310-horsepower, 555 lb-ft of torque Cummins diesel that gives the Titan HD a maximum towing capacity of more than 12,000 pounds. Like other Nissan models, the Titan HD has a lot of modern tech features including an advanced drive assist display, Bluetooth and a large touchscreen in the dash. The Nissan Leaf is a fully electric five-seat and 4-door hatchback. The Leaf has a 30 kWh lithium-ion battery with a 107-mile range, but due to the power regained by regenerative braking, the Leaf has an average city/highway combined fuel economy of 113 MPGe. 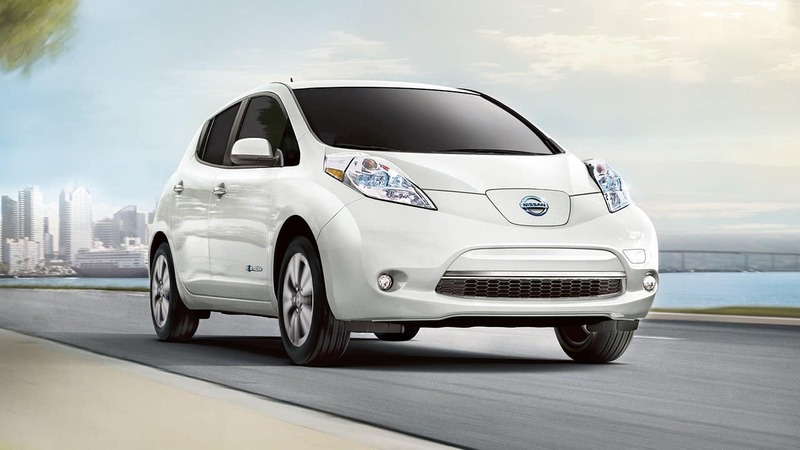 With an upgraded 220v home charger, the Leaf can be completely charged in only six hours. Other highlights of the model like a 90 kW AC synchronous electric motor, Nissan Intelligent key with push start button and bluetooth hands-free phone system come standard even with the base model. Shoppers that want a fuel efficient vehicle that is larger than the Leaf might be interested in the the Nissan Rogue Hybrid, which is a five-passenger four-door SUV. The Rogue Hybrid is available in two trims, the SV Hybrid and SL Hybrid. Both hybrid models come with a 2.0-liter 4-cylinder engine paired with a 202 volt lithium-ion battery. The Rogue Hybrid produces up to 176 horsepower and averages 33 mpg in the city and 35 mpg on the highway. In search of a Nissan vehicle in Fort Lauderdale? Check out our Nissan inventory at Driver’s Auto Mart.